Following Shiv Sena Member of Parliament Ravindra Gaikwad's demand that Parliament take serious note of national carrier Air India and other airlines for banning him from flying on their planes, and the reply of Civil Aviation Minister Ashok Gajapati Raju, Shiv Sena MPs aggressively cornered Raju after the Lok Sabha was adjourned to demand immediate action against the airlines. Sources said that the ensuing ruckus outside the chamber necessitated the intervention of Union Home Minister Rajnath Singh and Union Minister of State for Parliamentary Affairs S.S. Ahluwalia before the situation was defused, frayed tempers were calmed and order was restored. Both Rajnath Singh and Ahluwalia took the initiative to reason with fellow cabinet colleague and Shiv Sena MP Anant Geete and restore order, even as it was being reported that the Shiv Sena is allegedly planning not to let airlines fly from Mumbai. Following the adjournment of proceedings, Lok Sabha Speaker Sumitra Mahajan held a meeting with Home Minister Rajnath Singh, Civil Aviation Minister Ashok Gajapathi Raju and Shiv Sena MPs on the Gaikwad issue. It may be recalled that Gaikwad, the Member of Parliament representing the parliamentary constituency of Osmanabad, had last month allegedly abused and assaulted a 60-year-old duty manager of Air India with slippers for not being able to fly business class despite having boarded an all-economy Pune-New Delhi flight. In the days that followed, Gaikwad tried to trick the Air India ticketing staff repeatedly by booking tickets by mis-spelling names. The state carrier first cancelled a Mumbai-Delhi ticket booked by him, followed by another Hyderabad-Delhi ticket. He again tried in vain to book a Pune-Delhi ticket for April 3. Private carrier Indigo and Spice jet had also rejected a flight booking made by him in a display of solidarity with Air India. 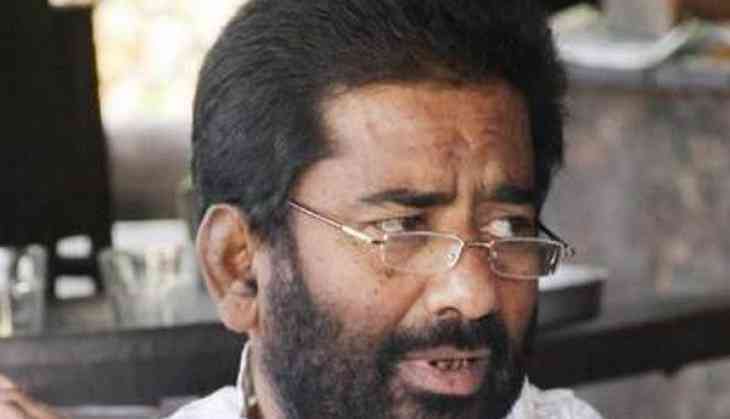 Gaikwad and other Shiv Sena MPs today raised the matter in the Lok Sabha, saying they have submitted a privilege motion against the airlines for banning the MP. Civil Aviation Minister Ashok Gajapati Raju said today in the Lok Sabha that the case involving Gaikwad would be looked into, but appealed to the House to decide whether it wanted to defuse or aggravate the situation. He said that though Gaikwad is an MP, as far as the airline was concerned, he was just another passenger and violence of any kind on a flight can turn into a disaster and must be avoided at all costs. He reiterated that airlines have been empowered to deny boarding to any passenger whose demeanour was improper. READ NEXT >> Baahubali to re-release on 900 plus screens; Will it set the box-office on fire again?